Today, since I am supposed to be resting my elbows (and not typing), I am re-posting something from two years ago (almost to the day) with a couple of updates. I got a yarn scale for Christmas two years ago and it is one of my favorite knitting tools. 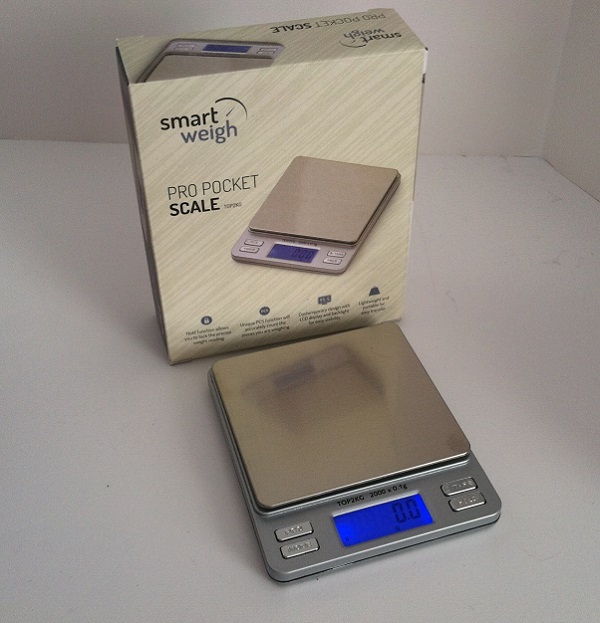 It is not technically a “yarn” scale – it is a Smart Weigh Digital Pro Pocket Scale with Back-Lit LCD Display, Silver (click there to get one on Amazon). Often people use them in their kitchens for measuring food. It has a capacity of just over 4 pounds, which is plenty for yarn/garment weighing (and for food if you need it for double-duty), and weighs to a tenth of a gram. It may be surprising to non-knitters (and maybe to some newer knitters too) that a scale is one of my favorite knitting tools. But I use it for so many things. Read on, and then get one! Reason #1: Determining how many yards of a ball of yarn I used. I weigh the yarn first, knit the item, then weigh the item (or the remaining ball) and do some math to determine yardage. 71.7 grams of a 100 gram/220 yard skein of yarn means I used 157.7 yards of the skein to make this cowl. Definitely important to know when I write up the pattern for my design! Reason #2: Determining if I have enough yarn to knit something. 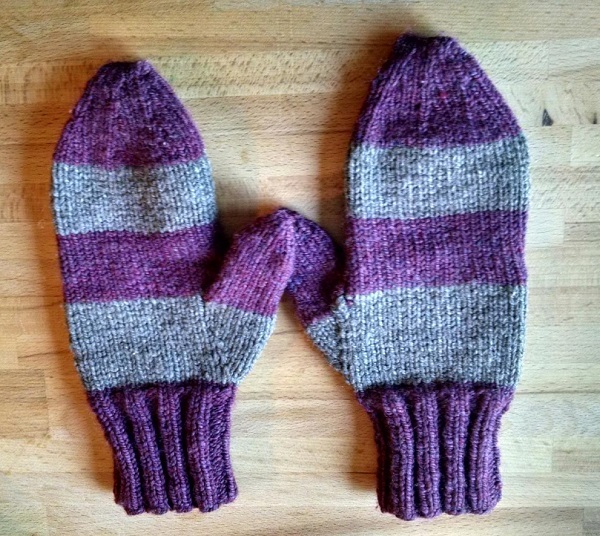 A perfect example: I knitted a pair of mittens for my sister-in-law for her birthday. And then she lost one. After only 2 1/2 weeks. She was so upset! But, it happens. Since I made this with my handspun yarn, and I’m not terrific at keeping track of yardage for that, I had her weigh her remaining mitten (she has a yarn scale too!). It was 53 grams. 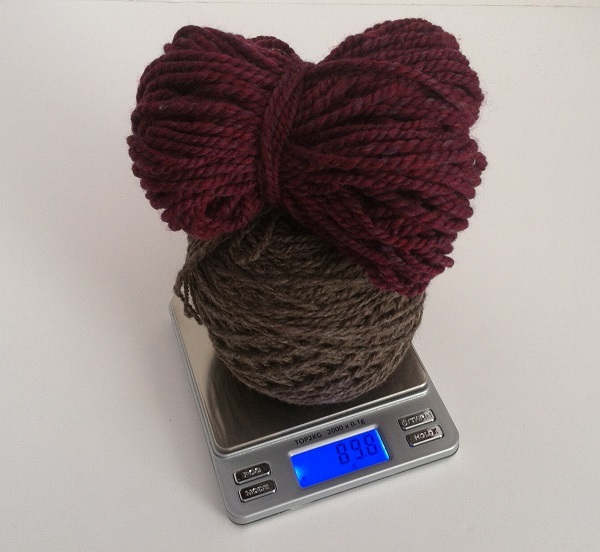 Then I weighed my remaining handspun to see if there would be enough to make a replacement mitten. Hooray! Plenty of yarn to make another one. Although the berry color is in short supply so those stripes might need to be thinner. But, hey, the eclectic look is in. Who needs a perfectly matching pair of mittens? 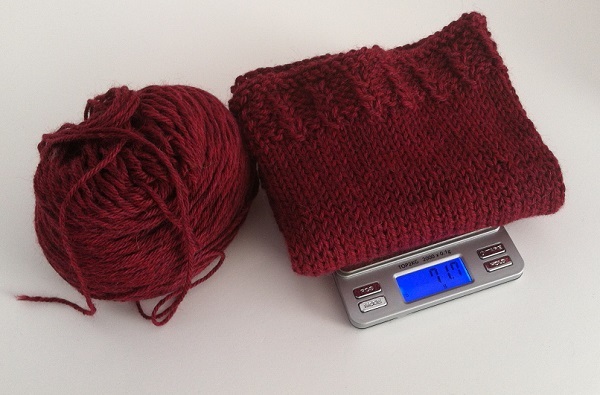 Reason #2.5 (Related to #2): Weighing yarn while knitting is helpful if you think you might run out of yarn. You can weigh your yarn, knit a row, then weigh it again to determine how much you use in each row. Then you will know if you have enough to knit those last 3 rows or if you have to modify your pattern to end sooner. Reason #3: Separating a ball of sock yarn. There is a method of making socks where you can make two at a time on one, long circular needle. [In fact, I’m teaching this class at The Spinning Room this week! The class is full but call the shop to be put on a waiting list so I know there is interest and can schedule another session.] To do this, you need two balls of yarn, and often sock yarn comes in one ball or skein. So I use the scale while I am separating the ball, to make sure they are even amounts. 4) Making sure a ball of yarn is a full ball of yarn. Sometimes I use a little bit of a ball, with the label still on it, and it doesn’t look like there is any missing. If I need a certain yardage, I want to make sure the ball weighs what the label says it does. There you have it! 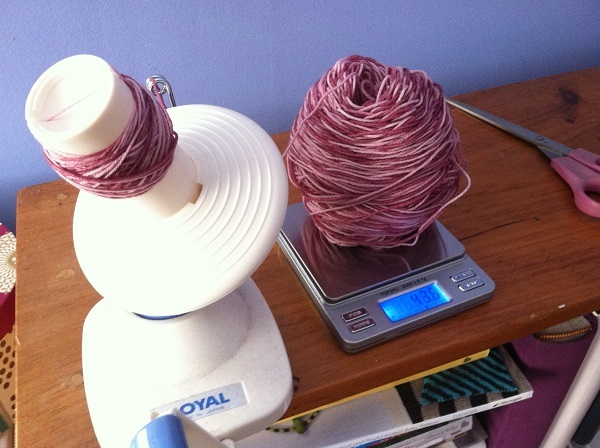 Four and a half reasons why you need a yarn scale. In case you needed convincing…. Back to heat and rest, heat and rest, heat and rest. Posted in Uncategorized on January 11, 2017 by lizytish. You make a great case for the scale. Rest up!